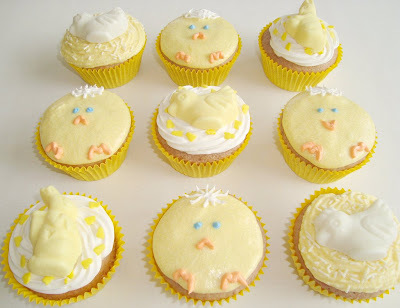 Easter won't be till over a month and I'm not religious, but I'll use Easter as an excuse to make cute cupcakes the coming weeks! 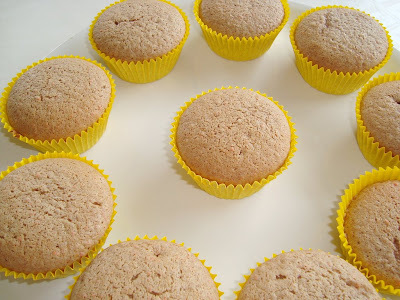 A couple of weeks ago I found 4 cupcake sprinkles for only $1,50, so today I used of them. 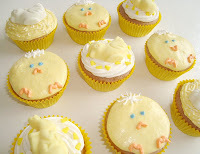 I went with the theme of little chicks and used lots of yellow and white buttercream. 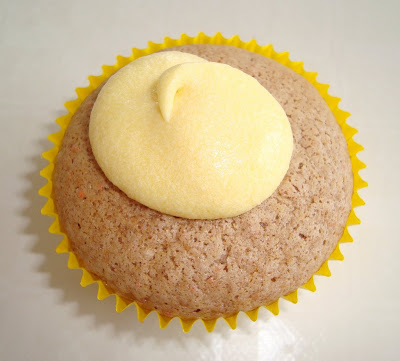 You can use any flavor cupcakes and any type of buttercream frosting. 1. In a large bowl sift the confectionars' sugar. 2. 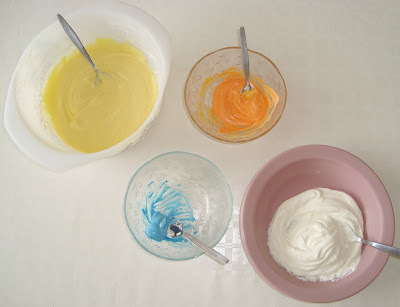 Add and mix the remaining ingredients with an electrix mixer on low speed until blended. 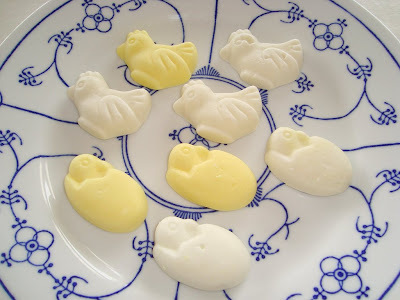 Easter candy I bought a couple of days ago. 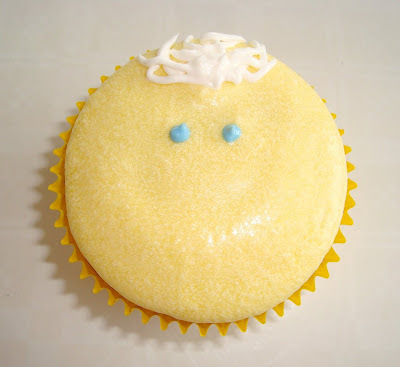 The frostings. 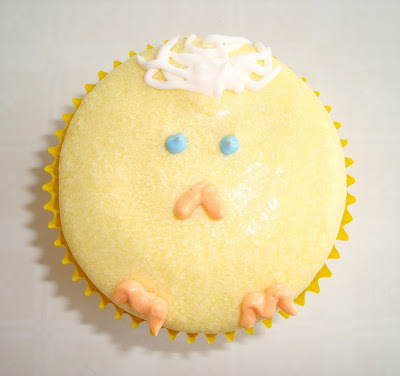 The blue frosting is for the eyes, orange for feet and nose. 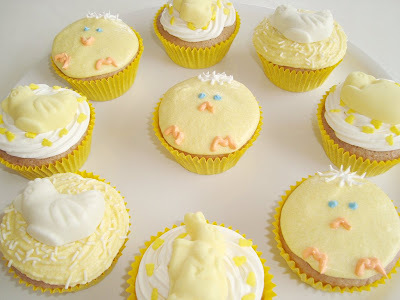 Update #1: My Easter cupcakes won the daily poll at AllRecipes.com! They came in third. 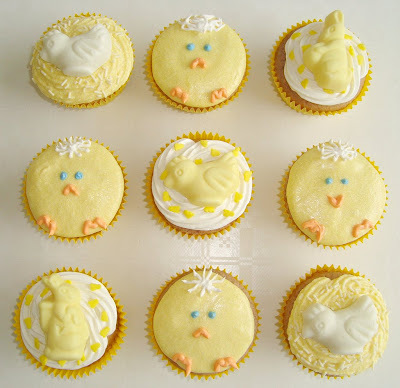 Update #2: Sweet Cuppin Cakes Bakery posted my Easter cupcakes on their blog. "Danielle is most inspiring as she has such a flavour for design! Bravo!" I'm totally blushing!! Thank you so much. They're beautiful! 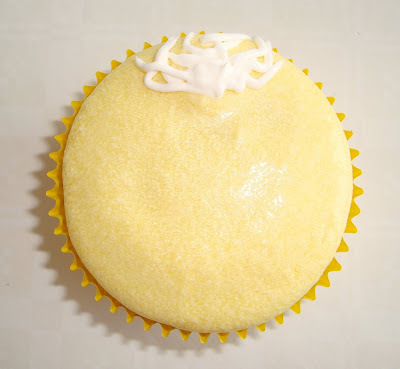 Quick question: how do you get your yellow frosting to be so smooth, flat, and without any lines? Obviously, I'm a beginner and any tips would be appreciated. 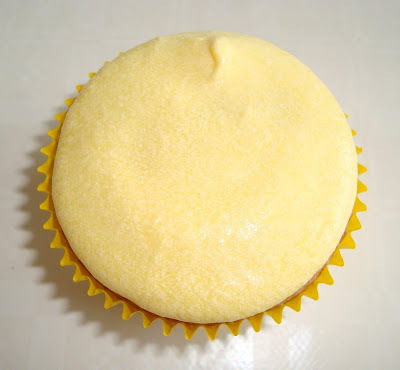 @Mel: Adding a tablespoon milk more to the frosting, to make it a bit runnier, so it will spread easier and look flatter!